We are approaching Veterans Day and preparing to honor those who truly helped make this country great by keeping the peace, and contributing to our communities by giving back their energy, time, and talent. 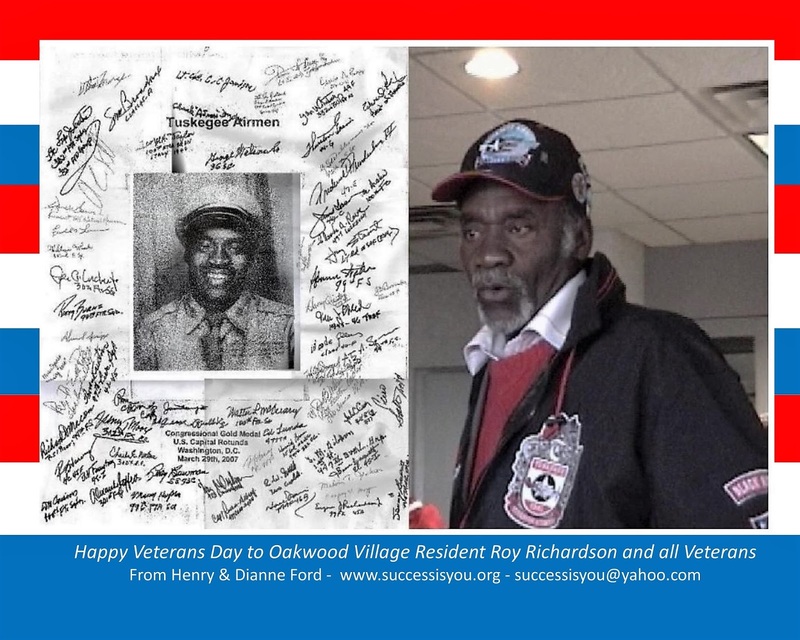 It is fitting that we take this opportunity to extend a thank you to our friend Roy Richardson and all Veterans. Roy is pictured below with autographs of fellow Airmen including legendary Lt. Colonel Clarence C. Jamison of the famed Tuskegee Airmen. We urge you to VOTE on November 8th to help insure that this nation continues to live up to the principles of freedom and equality, regardless of the heritage of its citizens. Read more about THE VOTE and VETERANS DAY in the latest issue of VISIONS Newsletter by PRESSING HERE!